Wow what an experience Mumbai has been. We spent quite a few days in this crazy city so forgive me for not going into loads of detail (plus my memory is hazy). 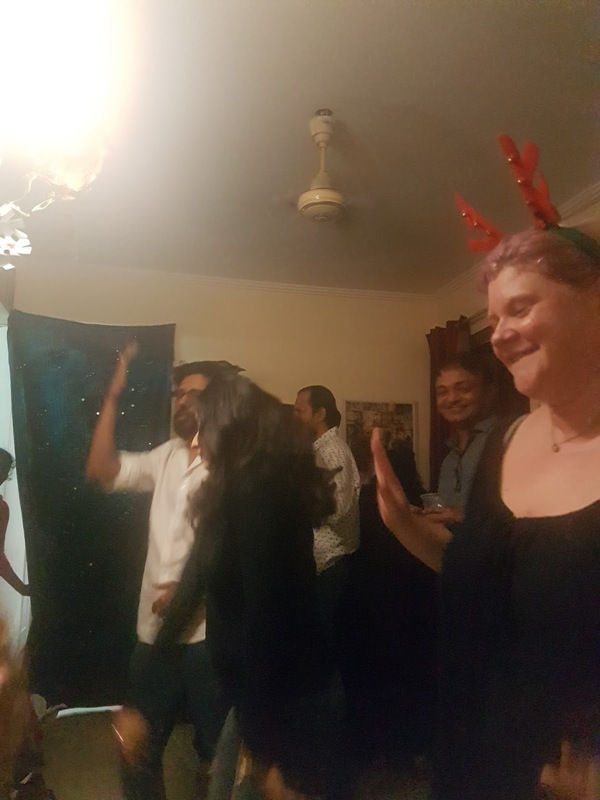 I know it began with a flat full: Cotton, Amit and Saira had graciously said we could stay with them for Xmas and New Year and they also had another friend from the UK staying with them. 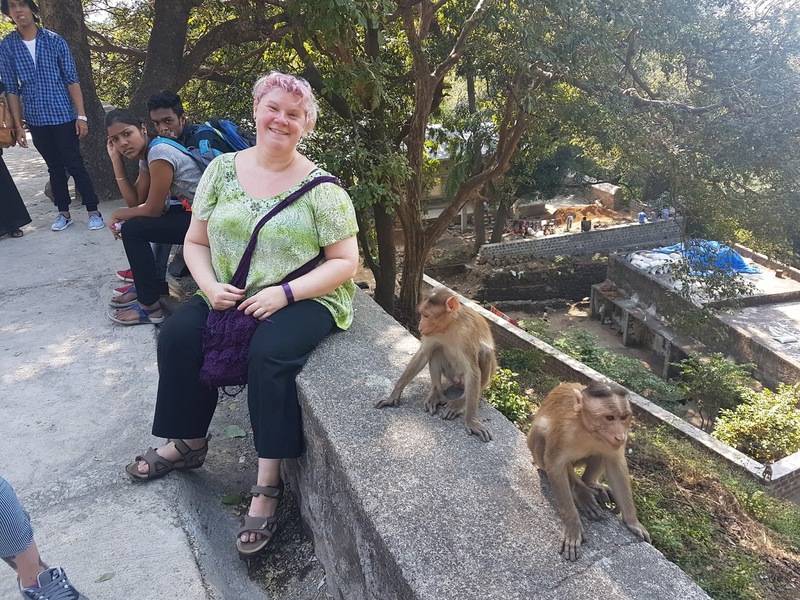 The first day we explored a local pottery market, Babulnath Mandir Temple, Gateway of India, drinks at the Marina and then delicious food and drinks at Café Mondegar where Paul had Roast Beef! The view from Carolines and Amits flat is amazing any time of day and I loved watching the chaos of the road below during the day and then waiting for the huge bats to come out and swoop past at night. Sunday was Xmas eve and so we had to brave ‘Hypercity’ for food and wine. It was crazy busy and everywhere you turn they have people trying to give you tasters of food, which you then must try and explain that you don’t really want to buy it. It makes for a very interesting first experience. The rest of the day was prepping food and having a few beers. Christmas day was a blur as we started cooking chickens and prepping dishes for the big party in the evening. The great thing about Indian culture is nothing much happens in the morning, and parties etc don’t really start until 9pm at the earliest. This meant we should have had loads of time to do everything but for some unknown reason we were still cooking at about 10:30pm. It tasted really good though and we had been drinking along the way, so it was really fun. Dancing took over as the night went on and we limped to bed about 4am. Boxing day no matter where you are is always a right off and it was no different in Mumbai. I began to lose track of days after this but I know we took a train ride down to South Mumbai and saw all the Bollywood stars homes and had some drinks watching the sunset from a posh Skybar. I saw Star Wars in my first Imax presentation and the sound was amazing! 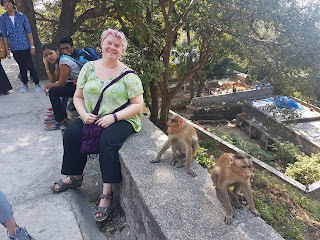 We visited the National park, which is huge and went wandering around the old Buddhist caves, Paul got pushed and told off by a monkey there (think he was sitting on his ledge). We shopped in Marks and Spencer (ha ha) and wandered around the local markets taking in all the sights, smells and colours of Mumbai. We even had dinner in the jungle even though it was only an hour away from the city. New Year eve we were kindly invited to a friend party a short distance away. We didn’t stay for long but I danced Bollywood style for at least 3 hours before I needed my bed. New Year’s day we booked into a 5* hotel near the airport for some pampering before we fly off to Nepal. Mumbai has been crazy and I’m so glad I came. 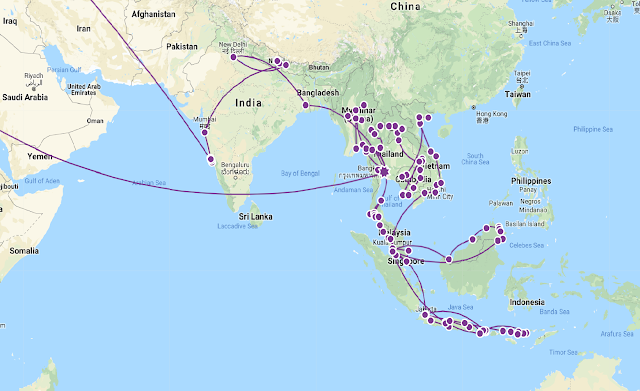 The next update will be from Pokhara with mountains and cooler temperatures.